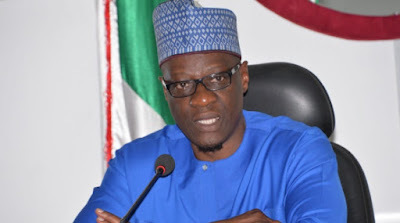 Kwara State Governor, Alhaji Abdulfatah Ahmed has debunked claims in certain quarters that he is planning to return to the Peoples Democratic Party (PDP), which he left with some other chieftains of the party prior the 2015 general elections. In a statement on Tuesday by his Senior Special Assistant on Media and Communications, Dr. Muyideen Akorede, the governor said he, Senate President Bukola Saraki and other political leaders in Kwara have no reason to return to the PDP. Governor Ahmed clarified that the insinuations, which emerged from his recent interview with a newspaper, did not suggest that he was planning to leave, rather, he was stating the conditions under which he and other political stakeholders in the state left the PDP. Alhaji Ahmed emphasized that he, Saraki and other governors left the PDP due to impunity, disregard for the rule of law and lack of inclusiveness in the party at the time following extensive consultations with stakeholders and supporters. He, therefore, declared that he, Dr. Saraki, other stakeholders and supporters are committed to the All Progressives Congress (APC) and currently have no intention to cross-carpet to the opposition PDP.